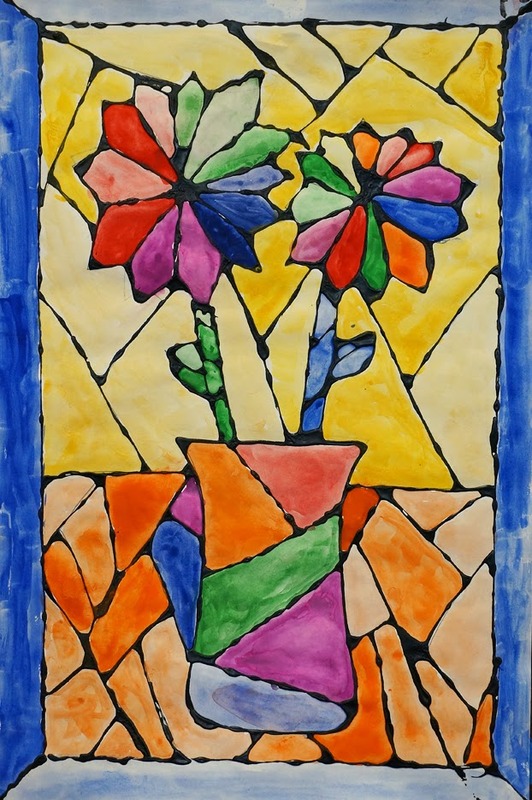 Mr. O's Art Room: 4th Grade "Stained Glass Windows"
4th Grade "Stained Glass Windows"
Fourth graders recently created some beautiful "stained glass window" paintings. 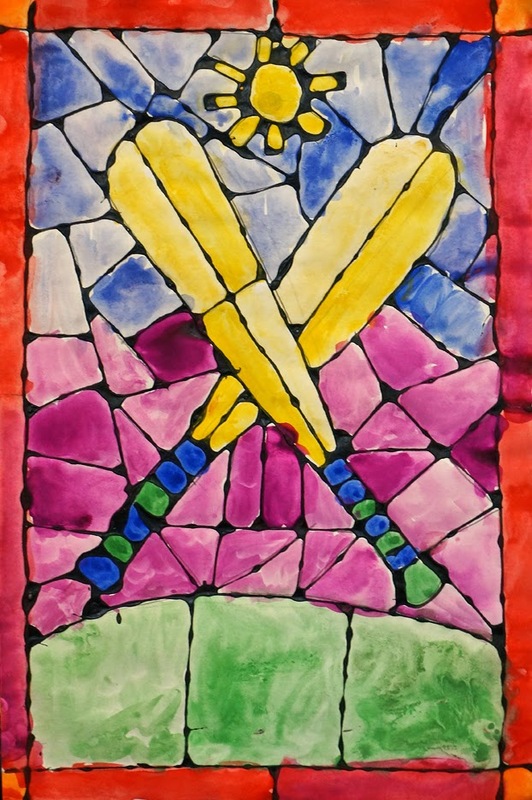 At the outset of this lesson, students learn how intricate stained glass windows were used to decorate the Gothic cathedrals of Europe during the Middle Ages (and how they were used as religious "picture books" for the average illiterate churchgoers of the time). They also see some of the famous stained glass artwork of Louis Comfort Tiffany. 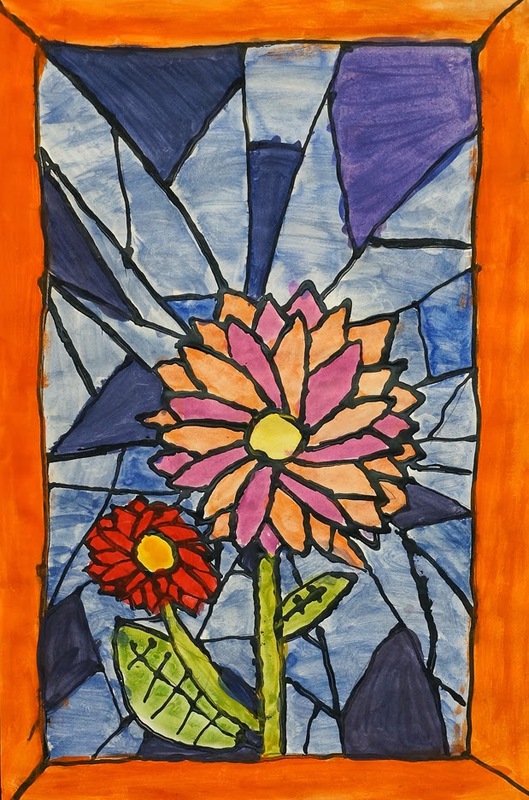 Students first draw a simple design -- I encouraged flowers but gave them some latitude -- and then break it up into angular pieces like it's made from pieces of glass. Then, using black glue (acrylic pain mixed with white glue) as the window "lead," they trace these drawings. Though it's challenging to trace with the glue, students love working with this medium. 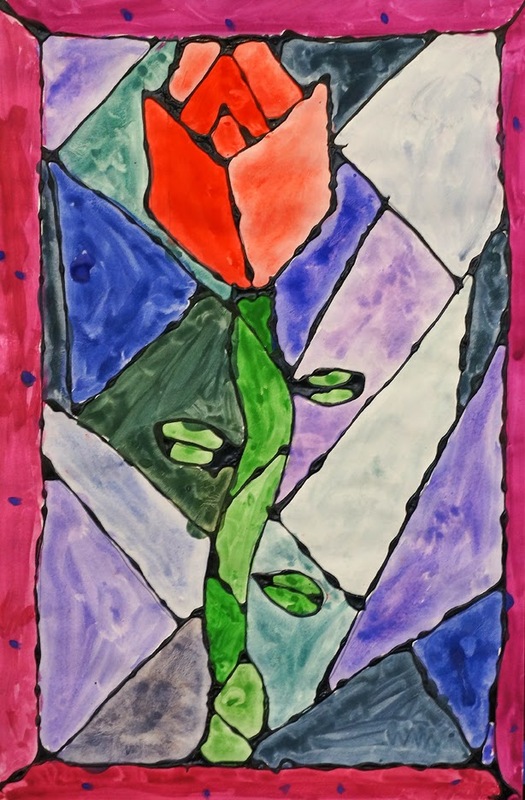 In order to better mimic the actual color qualities of real stained glass, students were asked to try to use different values or shades of the same color while painting. I'm always happy with how much these paintings have the feel of a real window.